Apply For Projects or Funding | Lower Hudson Partnership for Regional Invasive Species Management. One avenue of success for the Lower Hudson PRISM is to contract out projects that need more comprehensive work. An annual request for proposals (RFP) is issued in January each year. Some of the contracted projects include surveying, treating or managing high threat invasive species in the Lower Hudson Region, while others develop or provide educational and outreach material for targeted audiences. 2019 Request for Quotes (PDF) for treatment of Salvia glutinosa in Dover, NY. Applications are due Monday February 25, 2019 at 9:00 AM Eastern. Applicants will be notified of the status of their proposals by March 21. 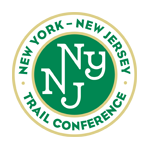 If you have any questions or problems completing your application, please email invasives (at) nynjtc.org for assistance. Every year the Invasives Strike Force takes on invasive species control projects of local and regional importance. The four-person crew uses the best management practices available to address approved priority projects at no cost to the landowner. The crew is licensed to apply herbicides in forest, roadside and residential areas but not in wetlands, ponds or lakes. Anyone in the PRISM region is welcome to submit the completed application and landowner permission form to us no later than January 4th, 2019. Applicants will be notifed on the status of their proposal by January 25th, 2019. Please note that if a species is found on the Lower Hudson Species Categorization list you do not need to fill out the New York State Invasive Plant Ranking Form. If the plant is not found on the Species Categorization list, all three forms should be completed. If you are filling out the NYS Invasive Plant Ranking form, complete it to the best of your ability with whatever information is known.